Found 3 file extension associations related to Prototype and 1 file format developed specifically for use with Prototype. Discover what lies beyond the edge of evolution. 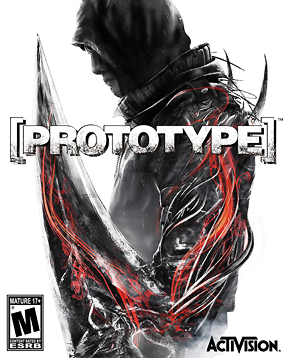 An all-new, third-person open-world/action game, PROTOTYPE puts gamers at the helm of Alex Mercer -- a genetically mutated shape-shifter with no memory of his past hell-bent on solving the mystery of his existence -- as he tears through a densely populated New York City moving with Parkour-style fluidity and consuming anybody that gets in his way...assuming their physical identity, memories and abilities. Fueled by three key factions consisting of Alex, the Blackwatch (military) and a viral outbreak known as the Infected, players will venture into a deep, dark conspiracy 40 years in the making! If you need more information please contact the developers of Prototype (Activision), or check out their product website.